Over the last four decades thousands of football players have played at Dorais Field in Chippewa Falls. So, who exactly was Gus Dorais? In short, he was one of the most important figures of football in the first half of the 1900s. While a quarterback at the University of Notre Dame in South Bend, Indiana, he helped revolutionize the game. Together with his good friend, roommate, and receiver – the legendary Knute Rockne – Dorais showed what the forward pass could do for an offense. He went on to a brief but successful stint in professional ball in the pre-NFL days and became a celebrated coach in the college and then pro ranks in a career spanning nearly four decades. It is in Chippewa Falls where his road to football immortality began, though. 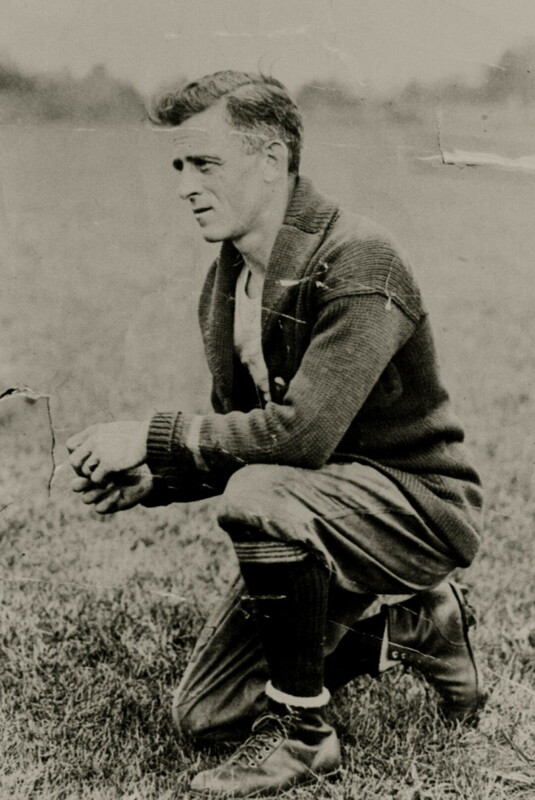 Together with his good friend, roommate, and receiver – the legendary Knute Rockne – Chippewa Falls native Gus Dorais showed what the forward pass could do for an offense at the University of Notre Dame. It is in Chippewa Falls where his road to football immortality began, though. Charles Emile Dorais was born July 2, 1891, in Chippewa Falls.1 He grew up on the city’s East Hill, known as “Catholic Hill” because of the Catholic church and school overlooking the city. He was a sports-crazy youth, eventually finding his niche as one of the top prep football players in the area and then the state, despite his size: 5’7”, 145 pounds. He attended the Catholic School just blocks from his house, entering high school in the fall of 1906 at Notre Dame (now known as McDonell). That same year a national football rules committee made the forward pass legal. As a sophomore, Dorais was already a team captain and quarterback, throwing the football with an overhand delivery – a rarity for the time. Games were sporadic for Notre Dame High School, and by his senior year the program was actually in jeopardy of being dropped. 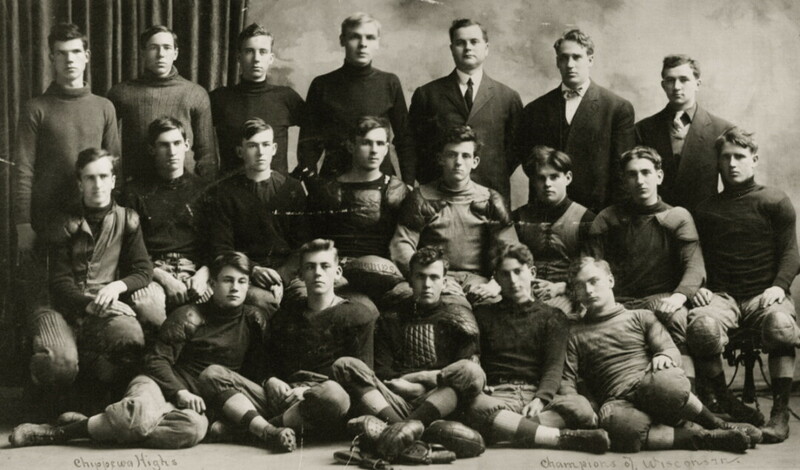 Notre Dame football played second fiddle to the much stronger Chippewa Falls Senior High School squad, and with aspirations of playing for the powerhouse University of Minnesota, Dorais decided to transfer to the public school for his senior year in the fall of 1909. Also new to the Chippewa Falls Senior High School team was the coach, A.G. Findlay, a former All-American running back at the University of Wisconsin. He was assisted by another former Badger, Carl Cunningham, a Senior High graduate who had recently returned to the city. Under the former Badgers’ tutelage, Dorais and his teammates flourished. Week after week they obliterated the competition. The only factor that could hold them back was weather, which led to cancellations and a game against Oshkosh High School during which three feet of snow surrounded the field and which ended in a 0-0 tie. Even with an abbreviated schedule, Chippewa Falls had gained a reputation for being one of the top teams in the state. 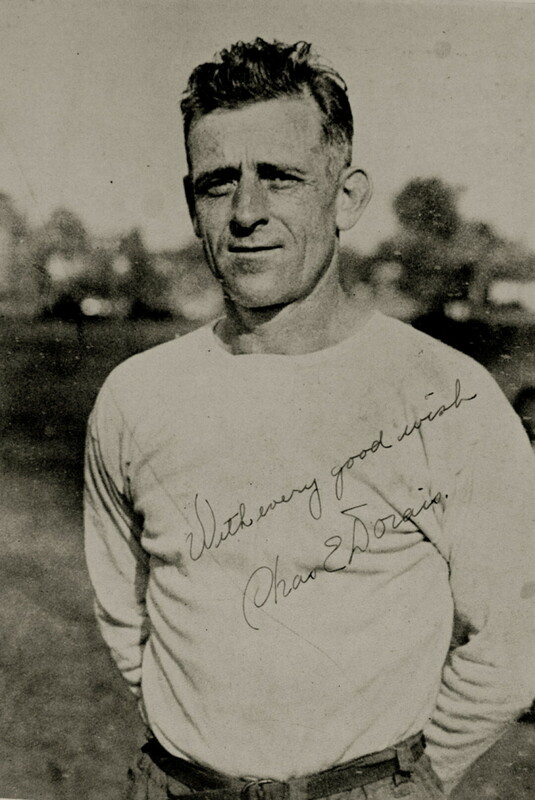 Dorais was the star, dazzling with his open field running, stunning utilization of the forward pass and adept kicking. He was also a star in the defensive backfield. A game was schedule against Marinette High School, also a powerhouse. Though there were no conferences or divisions, the consensus was that this game to take place in Milwaukee would decide a state championship. On Nov. 27, a small group settled into the west bleachers of Marquette Field, cheering on Chippewa Falls Senior High. Initially, plans had been made for a special train to follow the team to Milwaukee, but when the funds weren’t raised in time, it was cancelled. Back in Chippewa Falls, a large crowd gathered at Herbert Bros. smoke shop on Bridge Street, spilling out into the street. They waited anxiously for updates from the nearby Western Union. Following a brief warm-up and a rousing pep talk from “Coots” Cunningham, Chippewa Falls took the field. The weather was unseasonably warm and the field conditions were dry, favoring Dorais and his teammates. Though being significantly outsized by Marinette, Chippewa Falls was able to keep the ball in Marinette’s territory for much of the first half. Chippewa Falls took advantage of a Marinette fumble and scored on a 15-yard run by DeLong. Dorais kick extra point made the score 6-0.2 In the third quarter Dorais added a 35-yard field goal to make the score 9-0. A few minutes later back Ed Hunt broke through the line on a cross tackle play, for a 65-yard touchdown. Dorais’ kick made it 15-0. Marinette did threaten to score one time on a trick play, but Dorais thwarted the attempt when he was the only one left to make the tackle. Sensing defeat, Marinette attempted a 20-yard field goal toward the end of the game to avoid shutout, but missed. Chippewa Falls was victorious, 15-0, claiming the title of Interscholastic Football Champions of the State. Joe Niese is a librarian and author in Chippewa Falls. He has written two books: Burleigh Grimes: Baseball’s Last Legal Spitball and Handy Andy: The Andy Pafko Story. Gus Dorais is the subject of his latest book, to be released in time for kickoff of the 2018 football season. 1 He earned the nickname “Gus” at the University of Notre Dame. 2 Touchdowns counted as five points at the time. 3 Wisconsin State Journal (Madison), May 24, 1953, sec. 3, p. 1.